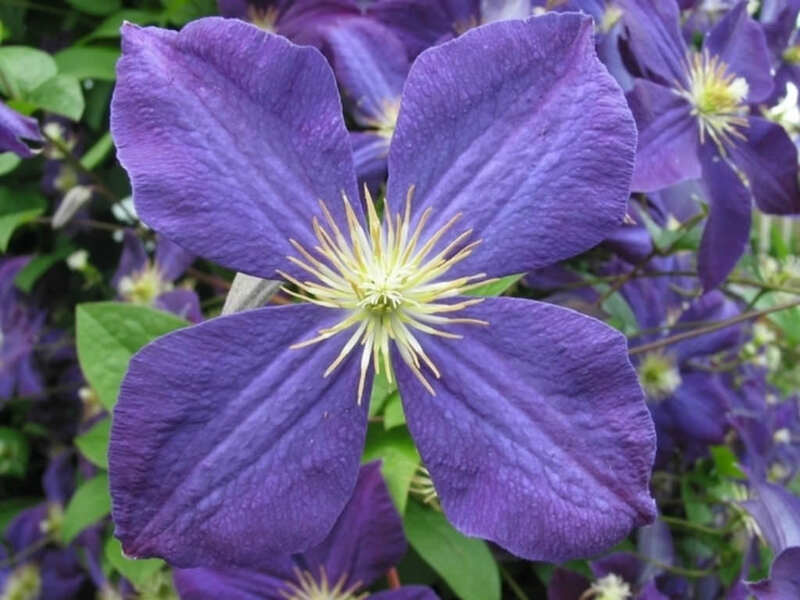 Clematis ‘Jackmanii’ is a popular, free-flowering, medium-sized, vigorous, deciduous climber. 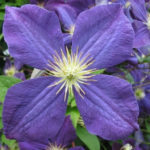 The large flowers are up to 4 inches (10 cm) across, with 4 (occasionally 5 or 6), textured, rich velvety violet-purple sepals and greenish-cream anthers. 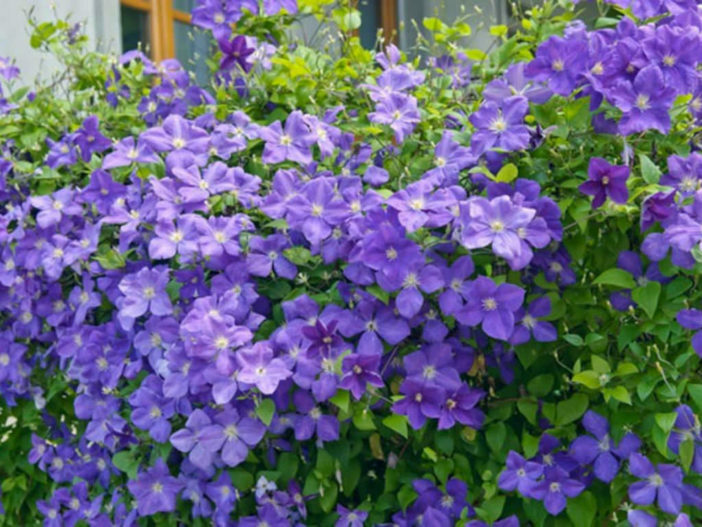 It flowers from early to late summer. USDA hardiness zone 4a to 11b: from −30 °F (−34.4 °C) to 50 °F (+10 °C). 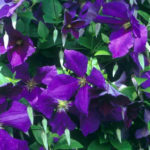 Clematis vary in their need for pruning. 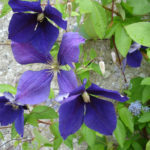 Some types flower on last year’s vines, so you want to avoid cutting them to the ground in the spring. 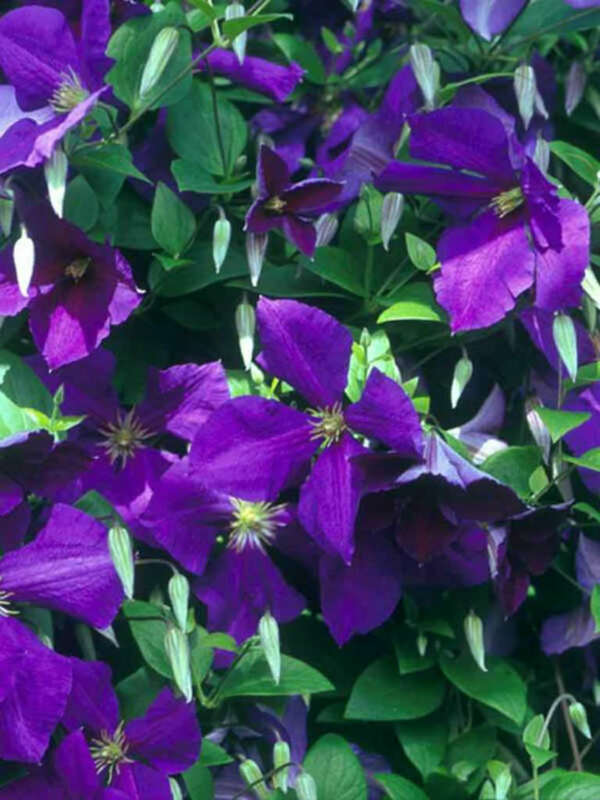 Others flower on current-year vines, so they don’t mind being cut to the ground each year. Rather than driving yourself crazy trying to keep track of the ideal pruning technique for each cultivar, try this common-sense approach: leave the prior year’s growth in place until mid-spring. Begin pruning only when you can see which vines are dead and which ones are starting to leaf out. 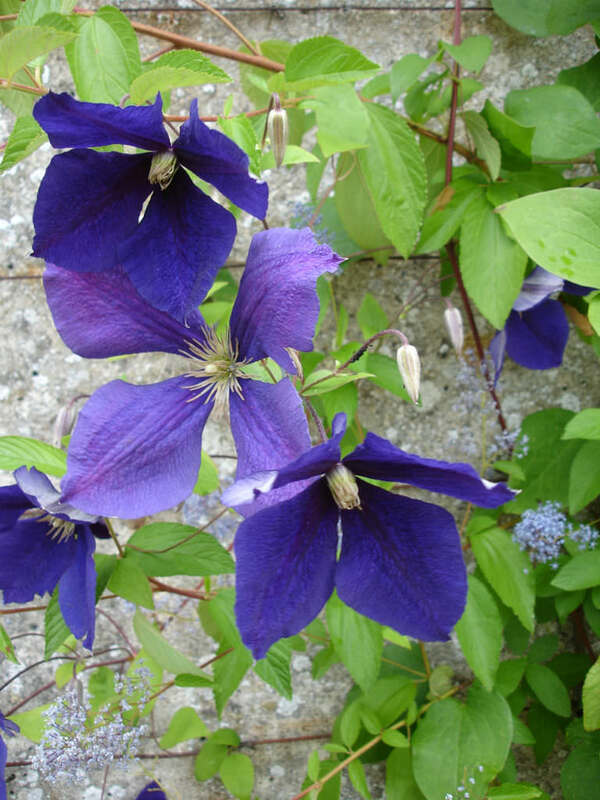 It was produced from crosses made by the prominent nurseryman George Jackman (1837–1887).